On Friday afternoon I shot back to the river hoping the chub still wanted to play. The river was a lot clearer and the colour was dropping out rapidly. Both of Thursday's swims produced a chub first cast, about 3lb and 2½lb. But as the water cleared enough to see my target I could watch them spooking off the bait - in fact once I could see them I only hooked one more, about a pound. I'll have to try and track where the shoals are and wait for the right water conditions. 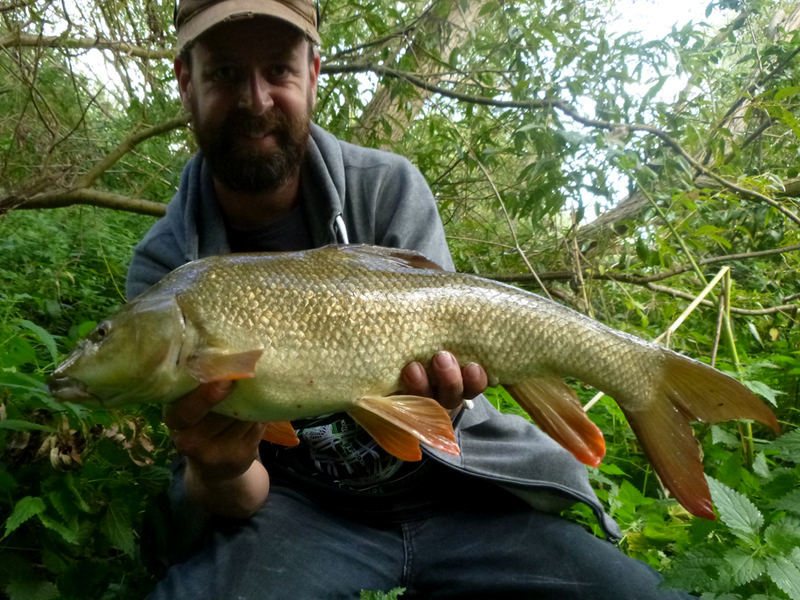 In the clear water I could target the barbel landing five to 8½lb, including a powerful but freaky looking five pounder (pictured) - looks like it's on steroids, I'll recognise this one if I see it again.